If you have moderate space and require a simple, yet effective, garage door system, then choose a sectional garage door. Overhead sectional garage doors are very popular with homes and offices and we offer a wide range of options to choose from. A sectional garage door comprises various sections that slide up overhead. Unlike other doors, they don’t require a wide clearing ahead of them. An overhead garage door is essential to keep out wind and rain and withstand harsh weather conditions and temperature changes. They make minimum noise while closure, keep your valuables extra safe, and add to the visual beauty of your house. Eagle Garage Door Service’s team of technicians offer maintenance, repairs, and installation services in Paterson, NJ area to ensure that your overhead garage doors continue to function smoothly and keep your assets safe. We craft our doors with quality materials that are designed to last long periods of time and install optimum weatherstripping for them. Eagle Garage Door Service’s specialty lies in meeting the special demands of its customers. If your area in Paterson is prone to power outages, we ensure that your garage doors have sufficient power backup. We can install automated garage doors with advanced motion detectors to allow convenient entry and exits. We also make custom doors that add to the visual appeal of your house and compliment your personal style. 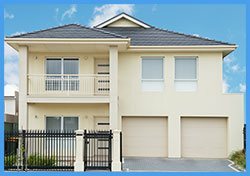 With a host of such services, we strive to fulfill everything that lies in the domain of garage door services. 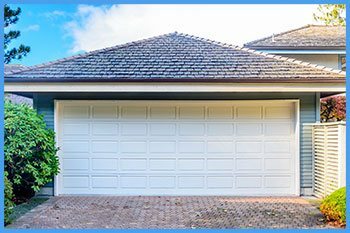 If you need to upgrade your sectional garage door or get it assessed by a technician, call Eagle Garage Door Service, the best garage door service firm in Paterson, NJ.